what OC of mine do u like more? Which super pony (that I made) do Du like? who is your Favorit MLP Mane 6 character? If Du need me to draw your character, give me a Beschreibung and expect the picture in a 4 days to a week wait. Is anypony here good at drawing? I want my oc drawn but I can't pay, and I can't draw manes. 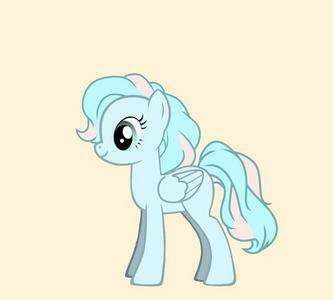 How is everyone able 2 make their own My Little pony creations?!? I want 2 be able 2 do that, but idk how!! Scoo-Ta-Loo Burst through the Schoolhouse doors and ran right past Sweetie Belle and apfel, apple Bloom who were trying to get her attention. She grabbed her scooter and sped off as fast as her little wings could Bewegen her, for today her Mom and Dad where coming home! Twilight and Shining had been walking for over 10 Minuten now. 'I wonder where she's taking me' Shining thought to himself. Twilight had been planning on what to do for his very special birthday, and nothing could be better than this. Twilight found this wonderful place and figured it would be perfect for her and Shining. She knew it would be the place for her to give him his present. Two ponies stood there, one had something that looked like some kind of magical device. He had on a suit that sagte R.P.D. and had a blonde low cut mane, covering one of his eyes With a very short tail. The other pony was wearing a brown rock and a ragged looking shirt. "Where are we Leon?" sagte the pony that had a very brown but short mane like the other pony that seemed to be Leon. "I don't know Ashley. That's what we have to figure out. Now where are we might I ask?" Asked Leon with the most serious of voices that Spike had ever heard before. Princess Luna has tried to overthrow Celestia again but now instead of calling the mane 6 to stop Luna for the Sekunde time, they have started the war for Equestria. Princess Celestia has Canterlot as a fort, and Luna has the Everfree forest, ponyville has no idea of the war for Equestria. this is the true battle, Sister vs Sister in a war to the death for Equestria. I heard something in the brush. I cautiously crept toward where the noise came from. I moved some foliage and branches out of my way and peered into the small opening in the forest. What I saw shocked me. It was something, but I don't know what to call it. What I saw big creature with the body of a Pegasus with massive wings. The only thing that disturbed me was the Farben on it and that it was eating something off the ground like a predator. I also noticed that there was also a terrible stench and I noticed it got strong the closer I got. The Fan character creator that's AWESOME! a comment was made to the answer: Here she is, Feather Cloud. an answer was added to this question: If you need me to draw your character, give me a description and expect the picture in a 4 days to a week wait. a comment was made to the poll: what OC of mine do u like more? a comment was made to the poll: Who should i keep? What is the first thing Vanilla Twilight does when she wakes up?